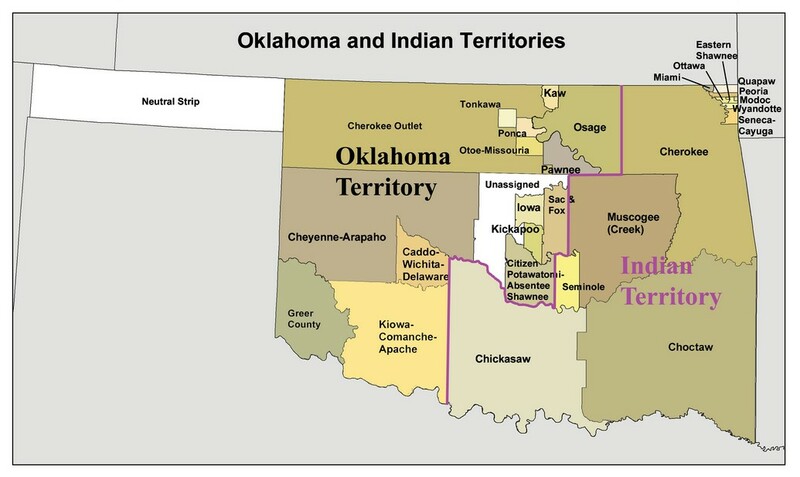 Land occupied by Southeastern Tribes, 1820s. Cherokee culture thrived for thousands of years in the southeastern United States before European contact. When the Europeans settlers arrived, the Indians they encountered, including the Cherokee, assisted them with food and supplies. The Cherokees taught the early settlers how to hunt, fish, and farm in their new environment. They introduced them to crops such as corn, squash, and potatoes; and taught them how to use herbal medicines for illnesses. By the 1820s, many Cherokees had adopted some of the cultural patterns of the white settlers as well. The settlers introduced new crops and farming techniques. Some Cherokee farms grew into small plantations, worked by African slaves. Cherokees built gristmills, sawmills, and blacksmith shops. They encouraged missionaries to set up schools to educate their children in the English language. They used a syllabary (characters representing syllables) developed by Sequoyah (a Cherokee) to encourage literacy as well. In the midst of the many changes that followed contact with the Europeans, the Cherokee worked to retain their cultural identity operating "on a basis of harmony, consensus, and community with a distaste for hierarchy and individual power." It used to be said, a few years since, with the greatest of confidence, and is sometimes repeated even now, that "Indians can never acquire the habit of labour." Facts abundantly disprove this opinion. Some Indians not only provide an abundant supply of food for their families, by the labour of their own hands, but have a surplus of several hundred bushels of corn, with which they procure clothing, furniture, and foreign articles of luxury. Two leaders played central roles in the destiny of the Cherokee. Both had fought alongside Andrew Jackson in a war against a faction of the Creek Nation which became known as the Creek War (1813-1814). Both had used what they learned from the whites to become slave holders and rich men. Both were descended from Anglo-Americans who moved into Indian territory to trade and ended up marrying Indian women and having families. Both were fiercely committed to the welfare of the Cherokee people. We appeal to the magnanimity of the American Congress for justice, and the protection of the rights, liberties, and lives, of the Cherokee people. We claim it from the United States, by the strongest obligations, which imposes it upon them by treaties; and we expect it from them under that memorable declaration, "that all men are created equal." Not all tribal elders or tribal members approved of the ways in which many in the tribe had adopted white cultural practices and they sought refuge from white interference by moving into what is now northwestern Arkansas. In the 1820s, the numbers of Cherokees moving to Arkansas territory increased. Others spoke out on the dangers of Cherokee participation in Christian churches, and schools, and predicted an end to traditional practices. They believed that these accommodations to white culture would weaken the tribe's hold on the land. Way up yonder in the Cherokee Nation. "You cannot remain where you now are...."
My sun of existence is now fast approaching to its setting, and my aged bones will soon be laid underground, and I wish them laid in the bosom of this earth we have received from our fathers who had it from the Great Being above. I have no motive, my friends, to deceive you. I am sincerely desirous to promote your welfare. Listen to me, therefore, while I tell you that you cannot remain where you now are. Circumstances that cannot be controlled, and which are beyond the reach of human laws, render it impossible that you can flourish in the midst of a civilized community. You have but one remedy within your reach. And that is, to remove to the West and join your countrymen, who are already established there. And the sooner you do this the sooner you will commence your career of improvement and prosperity. I am one of the native sons of these wild woods. I have hunted the deer and turkey here, more than fifty years. I have fought your battles, have defended your truth and honesty, and fair trading. The Georgians have shown a grasping spirit lately; they have extended their laws, to which we are unaccustomed, which harass our braves and make the children suffer and cry. I know the Indians have an older title than theirs. We obtained the land from the living God above. They got their title from the British. Yet they are strong and we are weak. We are few, they are many. We cannot remain here in safety and comfort. I know we love the graves of our fathers. We can never forget these homes, but an unbending, iron necessity tells us we must leave them. I would willingly die to preserve them, but any forcible effort to keep them will cost us our lands, our lives and the lives of our children. There is but one path of safety, one road to future existence as a Nation. That path is open before you. Make a treaty of cession. Give up these lands and go over beyond the great Father of Waters. "Every Cherokee man, woman or child must be in motion..."
Cherokees! The President of the United States has sent me, with a powerful army, to cause you, in obedience to the Treaty of 1835, to join that part of your people who are already established in prosperity, on the other side of the Mississippi. . . . The full moon of May is already on the wane, and before another shall have passed away, every Cherokee man, woman and child . . . must be in motion to join their brethren in the far West. The Cherokees are nearly all prisoners. They have been dragged from their houses, and encamped at the forts and military posts, all over the nation. In Georgia, especially, multitudes were allowed no time to take any thing with them except the clothes they had on. Well-furnished houses were left prey to plunderers, who, like hungry wolves, follow in the trail of the captors. These wretches rifle the houses and strip the helpless, unoffending owners of all they have on earth. We found the road literally filled with the procession for about three miles in length. The sick and feeble were carried in waggons . . . a great many ride horseback and multitudes go on foot—even aged females, apparently nearly ready to drop into the grave, were traveling with heavy burdens attached to the back—on the sometimes frozen ground, and sometimes muddy streets, with no covering for the feet except what nature had given them. My grandmother said she didn't remember getting to camp that night, but she was with her aunt and uncle. Out on the white road she had been so terrified, she squeezed her goose hard and suffocated it in her apron, but her aunt and uncle let her keep it until she fell asleep. During the night they took it out of her apron. Sources: John Ehle, Trail of Tears: The Rise and Fall of the Cherokee Nation (New York: Doubleday, 1988), 177; D. W. Meinig, The Shaping of America: A Geographical Perspective on 500 Years of History, Vol. 2, Continental America, 1800-1867 (New Haven: Yale University Press, 1993), 88; Gary E. Moulton, ed., Papers of Chief John Ross, (Norman, OK: University of Oklahoma Press, 1985), I:76-78; Baptist Missionary Magazine 18 (Sept 1838); National Park Service; Library of Congress; 1835 Treaty of New Echota; 1830 Indian Removal Act; Winfield Scott's Address to the Cherokee Nation, May 10, 1838; Winfield Scott's Order to U.S. 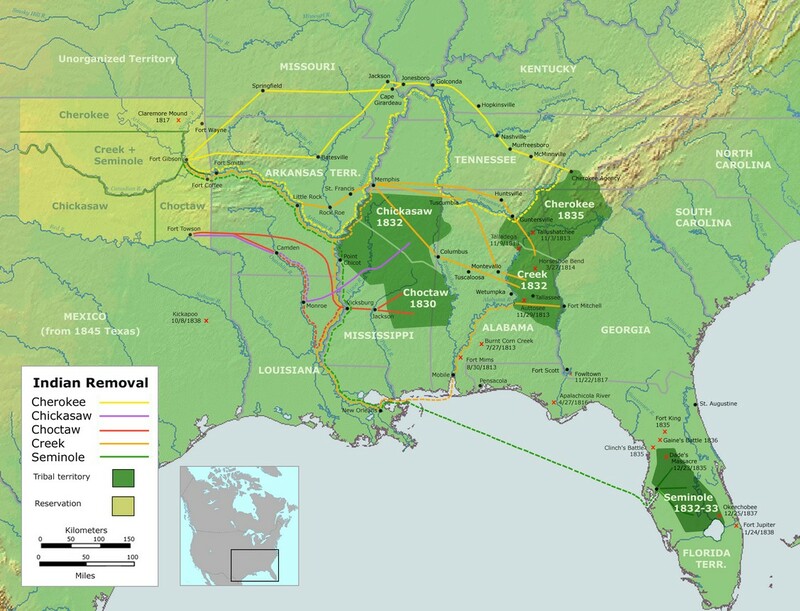 Troops assigned to the Cherokee Removal, May 17, 1838; Removal of the Indians, by Lewis Cass, January 1830; Cherokee Indian Removal Debate U.S. Senate, April 15-17, 1830; Elias Boudinot’s editorials in The Cherokee Phoenix, 1829-31; Trail Of Tears National Historic Trail; New Echota Historic Site; Trail of Tears Commemorative Park, Hopkinsville KY; Cherokee Nation, Oklahoma; Eastern Band of Cherokee Indians, North Carolina; Burnett, John G. 1978 "The Cherokee Removal through the Eyes of a Private Soldier." Journal of Cherokee Studies 3 (Summer): 180-85; Buttrick, Daniel S. 1838-39 Diary. Houghton Library, Harvard University; Cannon, B. B. 1978 "An Overland Journey to the West (October-December 1837)." Journal of Cherokee Studies 3 (Summer): 166-73; Deas, Lt. Edward 1978 "Emigrating to the West by Boat (April-May 1838)." Journal of Cherokee Studies 3 (Summer): 158-63; Foreman, Grant 1932 Indian Removal -The Emigration of the Five Civilized Tribes of Indians. Norman: University of Oklahoma Press; _____. 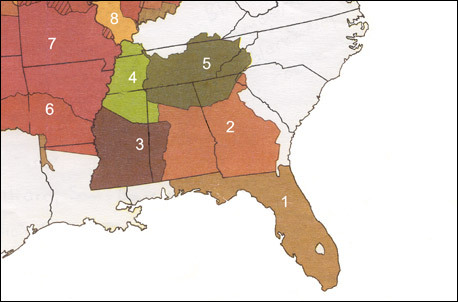 1932 The Five Civilized Tribes: A Brief History and a Century of Progress. Norman: University of Oklahoma Press; Henegar, H. B. 1978 "Recollections of the Cherokee Removal." Journal of Cherokee Studies 3 (Summer): 177-79; Hudson, Charles 1976 The Southeastern Indians. Knoxville: University of Tennessee Press; King, Duane H., and E. Raymond Evans, ed. 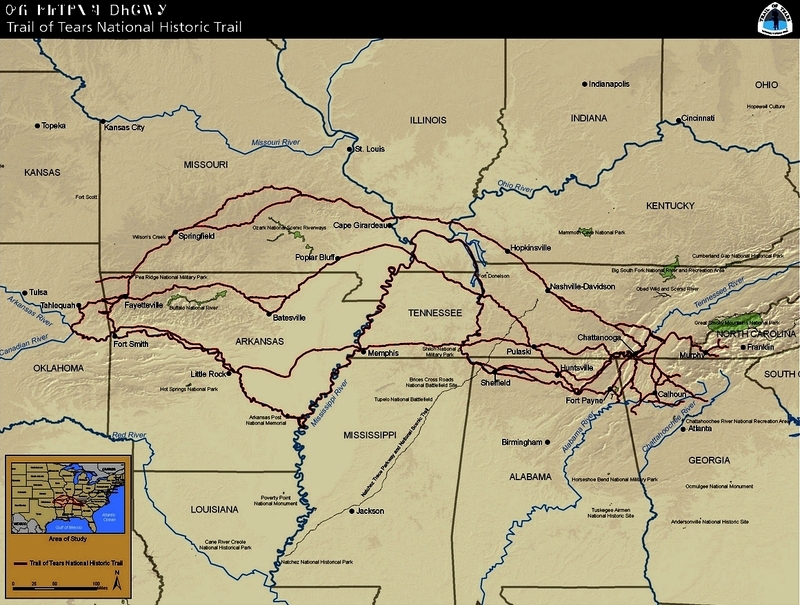 1978 "The Trail of Tears: Primary Documents of the Cherokee Removal." Journal of Cherokee Studies 3 (Summer): 131-90; King, Duane H. 1988 Cherokee Heritage: Official Guidebook to the Museum of the Cherokee Indian. Cherokee, NC: Cherokee Communications; Lightfoot, B. B. 1962 "The Cherokee Emigrants in Missouri, 1837 -1839." Missouri Historical Review 56 (January): 156-67; Morrow, W. I. I. 1839 Diary. Western Historical Manuscript Collection, University of Missouri, Columbia; Mooney, James 1975 Historical Sketch of the Cherokee. Chicago: Aldine Publishing Company; Moulton, Gary E. 1978 John Ross: Cherokee Chief. Athens: University of Georgia Press; Perdue, Theda 1989 The Cherokee. New York: Chelsea House Publishers. Prucha. Francis Paul 1969 "Andrew Jackson's Indian Removal Policy: A Reassessment." Journal of American History 56 (December): 527-39; Scott, Winfield 1978 "If Not Rejoicing at Least in Comfort." Journal of Cherokee Studies 3 (Summer): 138-42; Starr, Emmet 1921 History of the Cherokee Indians and Their Legends and Folk Lore. Oklahoma City: The Warden Company; Thornton, Russell 1984 "Cherokee Population Losses during the Trail of Tears: A New Perspective and a New Estimate." Ethnohistory 31 (4): 289-300. 1990 The Cherokees: A Population History. Lincoln: University of Nebraska Press; Wilkins, Thurman 1986 Cherokee Tragedy: The Ridge Family and the Decimation of a People. Norman: University of Oklahoma Press; Woodward, Grace Steele 1963 The Cherokees. Norman: University of Oklahoma Press.